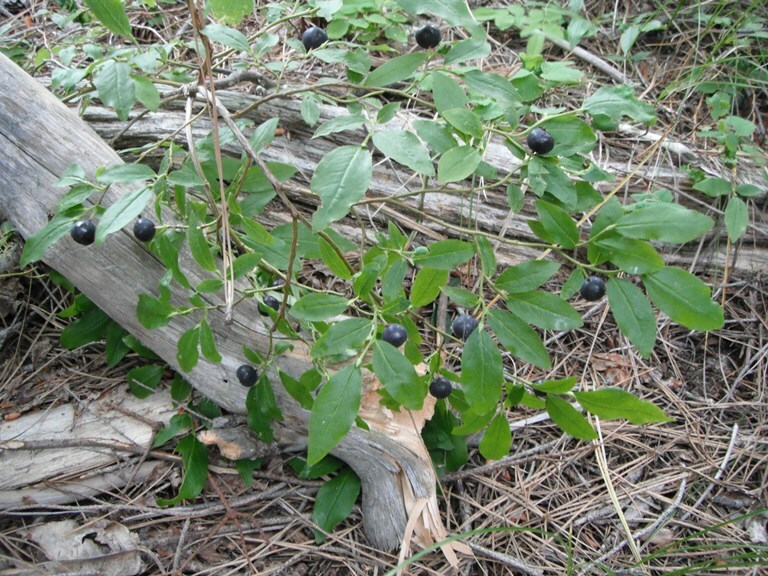 Names: Mountain Huckleberry is also known as Thin-leaf Huckleberry (membranaceum = thin, like a membrane). It is also known as Big, Black, or Blue Huckleberry. It is Idaho’s State Fruit. Distribution: This species is found in the west from the Yukon Territory to Northern California, mostly in the Cascade Mountains; eastward through the Rocky Mountain States and Provinces; reaching to Minnesota, Upper Michigan, and Ontario, on the east side of Lake Superior. Growth: Mountain Huckleberry grows from 1 to 4’ (30-150 cm). 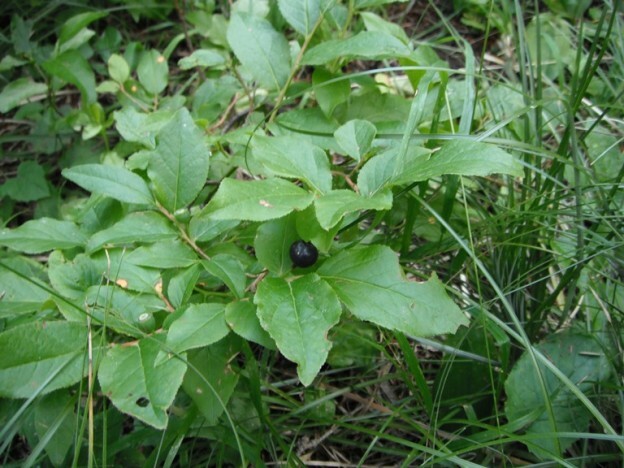 Diagnostic Characters: Mountain Huckleberry has thin leaves with finely toothed margins that are pointed at the tip. Flowers are urn-shaped and creamy-pink. 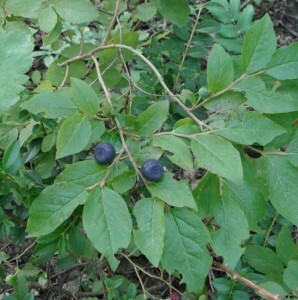 The berries are purplish or reddish-black, without a waxy bloom. In the Landscape: This species is prized for its delicious berries. Its leaves turn a spectacular red to purple in the fall. Mountain Huckleberry does best when it has little competition from other plants and is ideal for a rock garden or on a slope with plenty of organic matter. Plant it together with its natural companion, Beargrass, to reproduce the look of a subalpine hillside. Soil moisture will affect the quality and quantity of berry production, although it still will fruit even after 4-6 months with no rain. Phenology: Bloom time: Late spring to June. Fruit ripens: Mid-summer to late August. Propagation: In nature, Mountain Huckleberry propagates mostly vegetatively by slow expansion via adventitious buds on its rhizomes. Although seed reproduction is reportedly rare in nature, seeds can be propagated with about a 42% germination rate. It is best to plant seeds as soon as they are ripe in a cold frame. Stored seed may require a 3 month stratification period. Cuttings are difficult but possible from half-ripe wood taken in August, with a heel. More success is likely with division of the rhizomes. Use by People: The flavorful, juicy berries were collected by natives, eaten fresh or cooked, mashed and dried into cakes. Today, many families make special trips to the mountains to pick huckleberries. They go back to the same patch every year, unofficially claiming it as their own– hesitant to share the location with others. 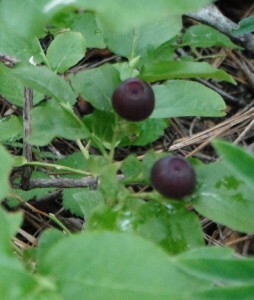 This is the species of huckleberry most commonly used in huckleberry Jams, syrups and other products marketed to tourists. Use by Wildlife: Huckleberry flowers are pollinated by bees. Mountain Huckleberry is the dominant species of huckleberry consumed by Grizzly Bears and Black Bears; they eat the berries, leaves, stems and roots. Elk, moose and deer will also browse on the foliage. Small mammals, grouse and other birds also eat the berries as well as use the shrub as cover. 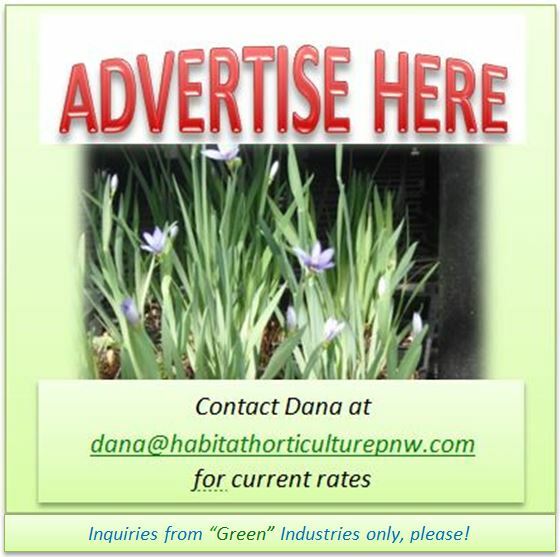 This entry was posted in Deciduous Shrubs & Vines on February 17, 2016 by habitatdana.